On March 13th, the Associated Press announced that U.S. Senator Richard Blumenthal is introducing legislation that would strengthen those federal laws relied upon to combat hate crimes across the nation. Specifically, his bill would reportedly create incentives for law enforcement to both go after and document hate crimes, establish grants to fund state-run hate crime hotlines, and allow victims of hate crimes to sue perpetrators in court, regardless of what state law dictates. While everyone concerned about civil and human rights can agree that creating a national database and a hotline aimed at getting victims help is a good thing, we also have to be careful about calling for more law enforcement in general, and to what extent we leave prosecuting individuals for particular crimes within the discretion of law enforcement and prosecutors themselves, as failing to provide them with very specific guidance as to what they should look for in perpetrators of specific crimes like these can sometimes lead to an abuse of the law. For example, last year, legislation was introduced that would automatically make the act of targeting a police officer for violence a hate crime. Specifically, the “Blue Lives Matter Act” would have provided prosecutors with the ability to charge those accused of purposely targeting and killing a police officer with a hate crime, which would add years onto an already existing murder sentence, possibly even turning it into an additional life sentence. For example “knowingly” setting out to cause bodily harm to a police officer alone could add 10 years onto a prison sentence. According to the Federal Bureau of Investigation, a hate crime is a traditional offense (such as assault, murder, etc.) with the added element of bias against a race, religion, disability, sexual orientation, and ethnicity, gender, or gender identity. In other words, it is a crime committed against someone due to what is a part of their identity. While the “Blue Lives Matter Act” has not been passed at the federal level, some states are starting to pass related bills at the state level, making any crime committed due to someone’s actual or perceived job as a law enforcement, firefighter, or emergency medical technician a hate crime on the same level as if they were targeted due to their race, gender, or religion. This is why we must take a very careful and close look at Blumenthal’s proposed legislation (once it is released to the public) to make sure it does not leave room for abuse by way of cruel and unusual punishments. 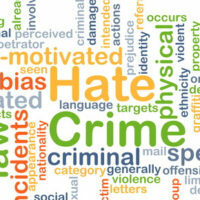 If you or someone you know is being accused of an action which could be construed as a hate crime, it is crucial that you start to build a criminal defense as soon as possible. As one of New York and New Jersey’s preeminent criminal defense attorneys over the last 25 years, Phillip J. Murphy has the experience necessary to ensure that you are protected. Contact us today for a free legal consultation.